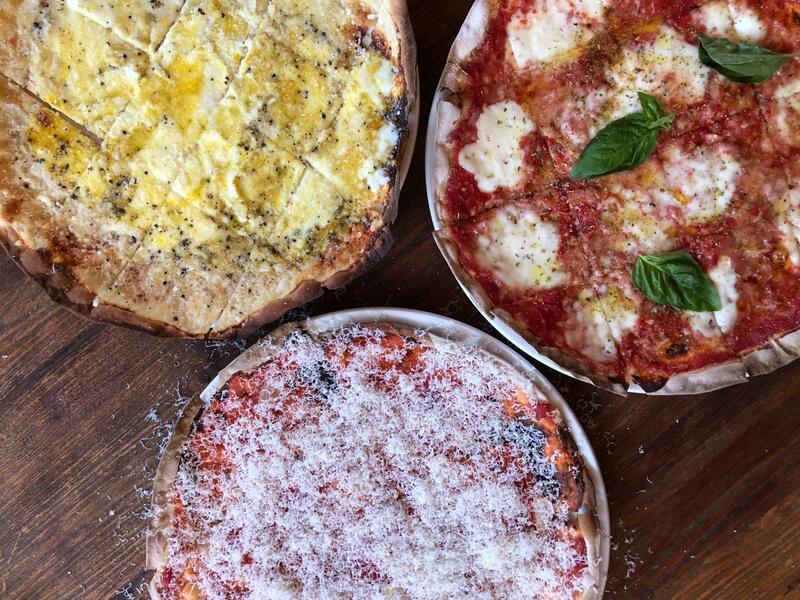 Stella Barra Pizzeria just introduced a new fleet of thin sin pizzas at all locations and trust us when we say, they’re delicious. Hand-rolled and extra thin, the crispy thin sin pizza crust is lighter but satisfying choice. Not sure what thin sin is? Chef / Partner Jeff Mahin breaks it down for us. Grab your friends and pull up a seat at our pizza and wine bar – these light, delicate and crispy pizzas like the Pecorino & Rosemary with organic tomato sauce, grana padano, olive oil and sea salt, Cacio E Pepe with pecorino, parmesan cream, black pepper, egg and garlic, and Quattro Formaggi with parmesan cream, mozzarella, gruyère and taleggio were made for sharing! Here’s how these creations came to be: When Jeff and the team were developing new sicilian-style focaccia pizzas for the happy hour menu, they were inspired to experiment with toppings that would highlight a lighter crust cut into squares. 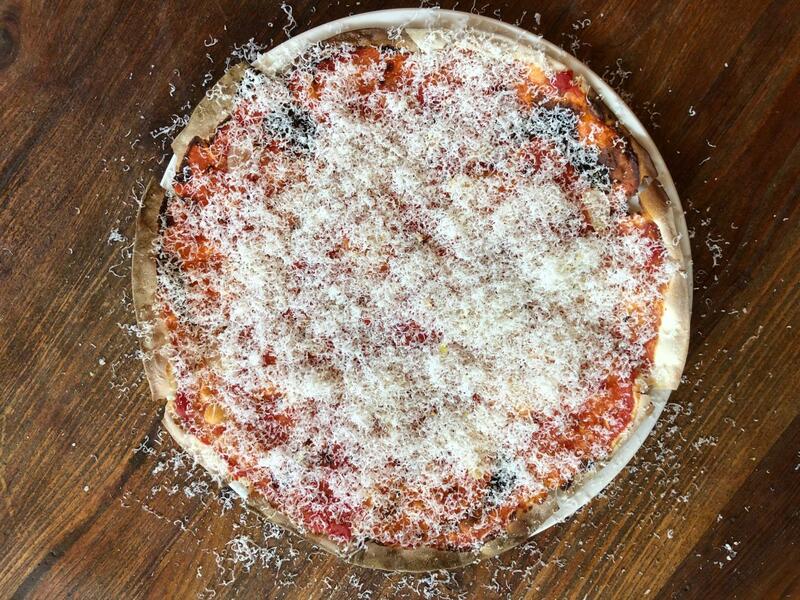 Since the extra-thin crust is similar to a cracker, Stella Barra’s chefs are able to use more delicate toppings. The light and crispy pizzas pair well with wine, offering nutty and salty flavors from ingredients like pecorino and 60 month vacche rosse parmesan. To make a reservation at Stella Barra and view the menus, click here. 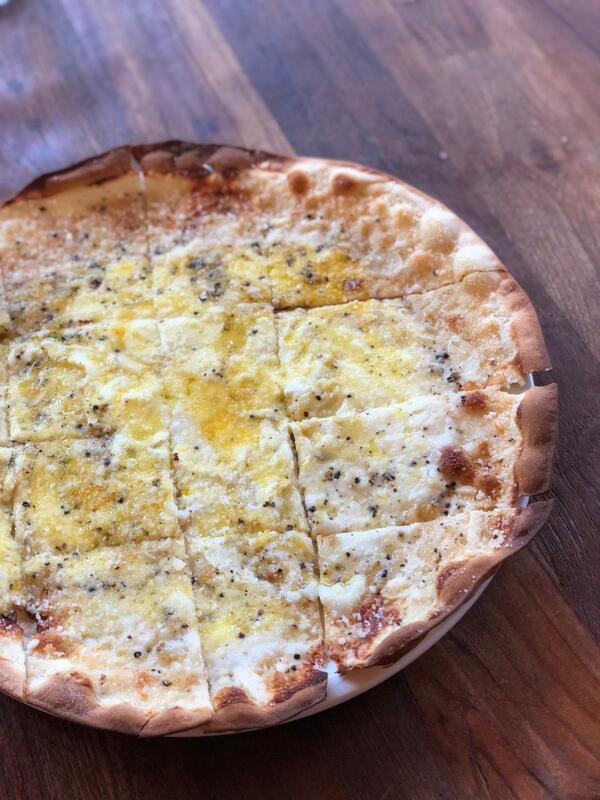 Chef Jeff is always experimenting with new, seasonal pizza ideas for Stella Barra so if you want to get a first look at what may be coming to the menu next, make sure you follow him on Instagram @jeffmahin.